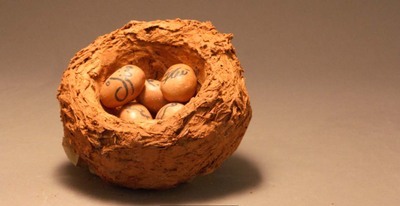 This essay for the A with Honors program describes a work of art entitled "Nest" which is comprised of a nest constructed of clay straw and grass, filled with five ceramic eggs on which the artist used Arabic words that describe the comforts of home, such as joy, comfort, and closeness. 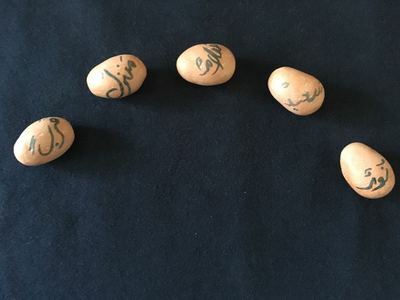 Motan, Najma, "Nest: Honors Sculpture Project" (2016). A with Honors Projects. 198.